The inaugural Africa Tourism Leadership Awards aims at recognizing game-changing individuals and/or groups’ initiatives being pursued across the sector, such as those leading to progressive policy-making and business practices, thought leadership, innovation, sustainable investments and public-private-community partnership, to name just a few, which are making waves across the African tourism sector. 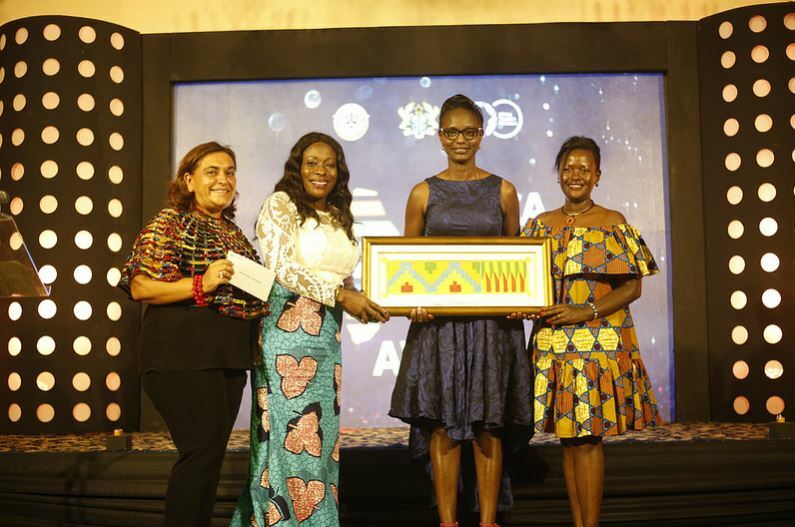 This is the first-ever Pan-African travel and tourism awards that seeks to recognize innovation, excellence and change-making pioneered by Africans, for Africa and in Africa. The award night is an ultimate networking event. Particular attention and recognition will be given to nominees who can prove commitment to leadership through sustainability in tourism policy and practices. A country, head of state, minister or government organization/team who has shown progressive and excellence in policy-making for sustainable tourism growth and development in their destination. An entrepreneur (or a small group of entrepreneurs) who has shown excellence in entrepreneurship in Africa’s travel, tourism, hospitality and/or aviation industry. The most inspiring and influential leading woman who has and continue to make and outstanding contribution to changing the course of tourism development in Africa. Most Innovative and Sustainable Business Tourism and MICE Destination in Africa based on destination rating, number of classified hotels, value for money, value chain development, number of visitors vs socio-economic benefits to the destination and/or green credentials. Accommodation facility with best world class facilities, quality standards, service excellence provided to guests and sustainable practices (i.e. green credentials, decent employment practices, staff development opportunities) in Africa. Small operations are highly encouraged to participate. Tourism transport organization providing the highest quality standard of service to travelers and has sustainability environmental credentials. This includes the most reliable and efficient transportation companies serving all destination in Africa including remote tourism destinations in Africa. The most influential media contribution to changing the image of Africa. Destination, business, third sector organization or policy that has made an outstanding contribution to conservation/ environmental protection and community development. This will be offered to an individual who has made exceptional lifetime contribution in creating positive change in relation to “Destination Africa” beyond the African continent. nominees must be a stakeholder in Africa’s travel, tourism, hospitality and aviation industries – including public, private, third sector stakeholders, individuals or group of individuals, destinations, communities and other stakeholders operating in Africa. nominees must be doing something outstanding and innovative with measurable results. nominees must be involved in an outstanding project or initiative and demonstrate consistent achievements over a period of a minimum of 2 years. nominees must be able to demonstrate the sustainability of their operation in terms of the economic as well as environment and social impact (e.g. environmentally sensitive, ethical in their operations, inclusive in their workforce engagement). nominees must demonstrate some level innovation in entrepreneurship and/or technology. Only one nominee will receive an award in each category. Auditing of awards will be done by Grant Thornton, South Africa. nominees must be change-makers (individuals, organizations, countries and destinations) who are enhancing the competitiveness of Africa’s Travel and Tourism industry. A case for nomination of maximum 500 words indicating FIVE (5) most important reasons organized in bullet points for their nominations must be received by the Co-Chairs no later than 10 May, 2019. The Nomination Committee will finalize the list of Award’ recipients and this will be audited by Grant Thornton for announcement on 10 August 2019. Nomination tally is however NOT the final consideration in the award as nominations will be considered alongside committee evaluation of the category. The decisions of the committee and auditors will be final. The nominees can self-nominate, or be nominated by others and awards will be adjudicated by the committee. All nominees will be notified by Africa Tourism Partners about their nomination. Nominations should be supported by a web and all social media links. By accepting nomination, the nominee agrees (he/she, organization, destination or country representative) to attend the ATLF and Awards Ceremony in Durban, South Africa on 30 August, 2019. Free invitation to ATLF Masterclass (in sustainable product development, MICE and Marketing) Awards Dinner and any side events. An opportunity to showcase services, products or destination during the ATLF from 29 to 30 August, 2019. An endorsement by a nomination committee formed by internationally acclaimed experts. The opportunity to present the awardee’s work to world at ATLF, and 12 months outstanding international media and digital marketing exposure at no cost. Winners will be invited to attend 2019 ATLF and Awards. Announcement of winners at ATLF Awards Dinner – Friday, 30 August, 2019 in Durban, South Africa. Please select from below your chosen option for attendance.